Remaking and Restoring America Team. 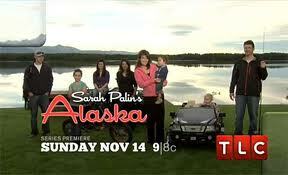 Last Sunday, November 14, the first episode of Sarah Palin’s Alaska broke all vewer records at TLC. 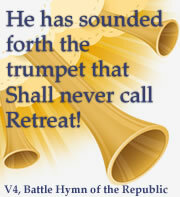 It is shown (the next 7) Sunday’s at 8:00 CST. Get the rest HERE. While She is exploding among the (Rush dubbed) Country Class. According to many in (Rush dubbed) Governing Class, she is a tornado on the loose destroying the opportunity for right of center governance for America. 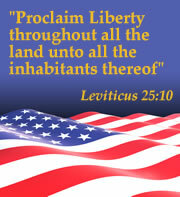 Here’s how one of my favorite observers, Stuart Schwartz sizes it up at the American Thinker. Sarah Palin, the Biggest Loser? Media and political elites may disagree on the many consequences of what the president called a “shellacking” by the voters, but they largely agree that the biggest loser was Sarah Palin. Sarah Palin has once again been flagged for her unwillingness to play the game according to how the media and political professionals want it played. For them, it is a game, with taxpayer dollars as Monopoly money. But for Sarah Palin, it’s about beliefs and values and service —which disqualifies her, in their view, from life between the political lines. Sure, she won —having helped more than sixty candidates to victory— but, as Rush Limbaugh pointed out, the political and media elites are “a little miffed” at how the Tea Party and Palin put principle ahead of politics. C’mon, lady —professionals don’t do core beliefs! . . . . Immediately following the election, the nation’s elites went on Sarah Palin Alert. . . . Read it all HERE. Reclaiming and Restoring? You bet’ja, Sarah’s our gal! The ability to see Russia from your house focuses the mind and gives you insight that just isn’t available to those living inside Washington’s Beltway, New York’s Upper West Side or snuggled up against our west coast. And since Sarah Palin so clearly sees Russia from her house she shares her solid insights with the new incoming Republican members of Congress. Freshmen Democrats, indeed experienced Congressional members should also heed her advice.